Phalenopsis is the very first serious piece of jewelry I made. It consists completely of copper and cold connections, or rivets. 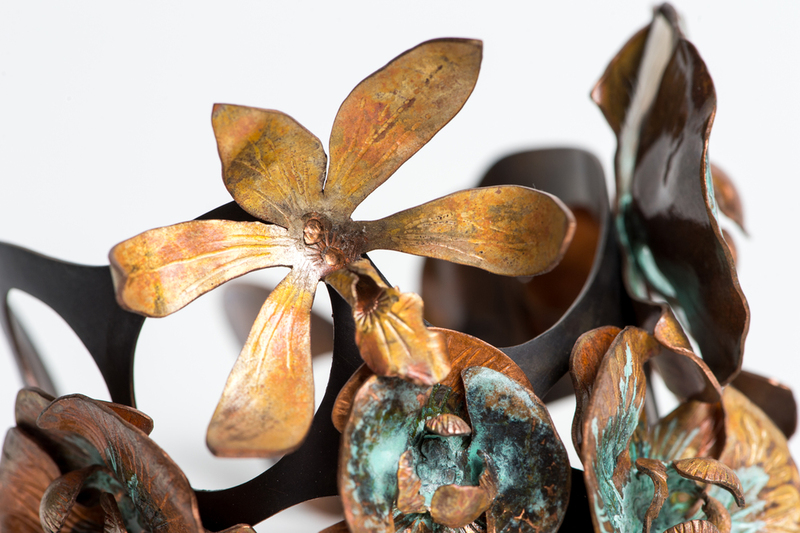 The individual layers of orchid petals are all chased and formed individually before attaching them to the cuff band.